Eliminate preventable vision impairment and blindness in underserved populations worldwide. 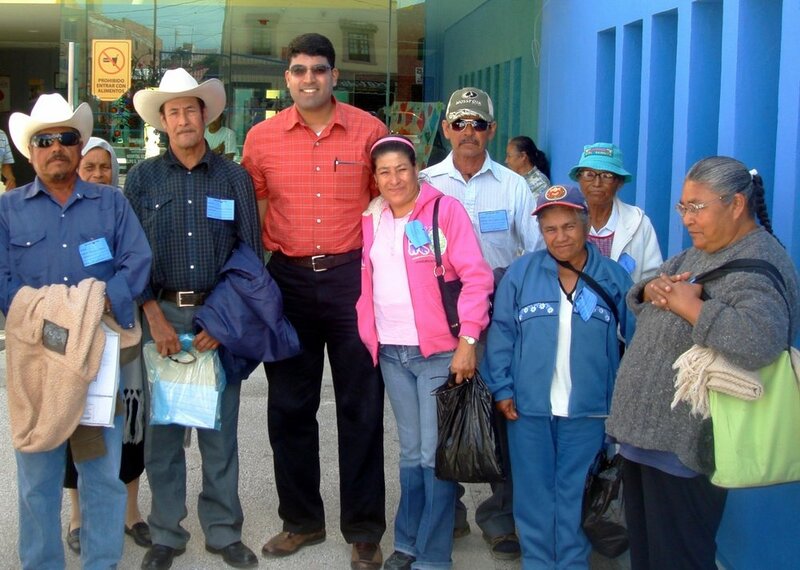 Volunteer retinal surgeon Dr. Rajeev Ramchandran at the Municipal Hospital in San Miguel de Allende, Gto., Mexico, with patients scheduled for laser treatment for diabetic retinopathy. Dr. Jorge Cuadros (EyePACS, LLC) demonstrates digital retinal imaging techniques to primary care physicians in Guanajuato, Mexico. Educate the public and health care professionals about the causes, prevention and treatments of eye disease. Expand access to preventive and curative eye care for underserved populations through innovative public health programs. Utilize telemedicine and other contemporary technologies to enhance program effectiveness and increase staff productivity. Support local health systems and empower medical personnel to maintain the long-term sustainability of programs. Recruit health care volunteers to amplify organizational capacity.